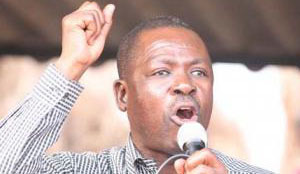 RAINBOW Party president, Wynter Kabimba’s law firm and eight others have lost a bid challenging the National Pension Scheme Authority (NAPSA)’s decision to increase rental charges for their offices at Godfrey House in Lusaka. Apart from Wynter Kabimba and Company, other companies are Nchito and Nchito Advocates, Abacus Corporate Solution Limited and CMM Property Consultants Limited. 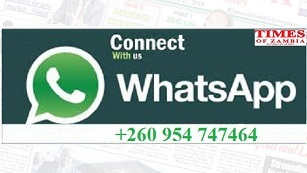 The rest are Blue Chip Company Zambia Limited, IS‎AT Africa Zambia Limited, A-Plus Urban Technics Limited, Thewo and Company, and Inambao Chipanzya. The nine were seeking an order to determine the increment of the rentals to be paid in respect of the spaces they occupy at stand number 6131, corner of Kabelenga and Longolongo roads. They wanted an order that the rental charges to be determined by the court should be applied under the current lease term and forthwith. The companies also sought an interim injunction restraining NAPSA whether by its agents or servants, from evicting them. They contended that NAPSA had been, over the years, increasing rentals without making any improvements to the property. Nchito and Nchito Advocates argued on behalf of the other firms that in 2015, NAPSA increased the rentals, a move the nine firms felt was excessive and unreasonable as it was not in line with the state of the premises. The firms alleged that when they requested for a reduction in the rental charges, NAPSA was adamant and threatened the tenants with eviction notices. But NAPSA denied that the increments were excessive and unreasonable because it was in line with standard market pricing for commercial properties. High Court judge Mwiinde Siavwapa dismissed the application by the nine because they did not prove to the court that the increment was excessive and unreasonable. Mr Justice Siavwapa said, in his ruling, that the increment was based on a contractual clause. “I accordingly dismiss the claims and order each party to bear their own costs,” the judge said.